My brother-in-law Werner was a passionate hunter. Until his early death he lived in East Germany, called the Deutsche Demokratische Republik, or DDR (in English GDR), which disappeared 28 years ago. I lived there, too, for many years, and it was there that my brother-in-law took me with him on a few hunting trips. I made clear that I did not at all like the idea of shooting a deer, a gracefully beautiful animal. As for the wild boars, hardly beautiful creatures to any eyes but those of their mates and offspring—I didn’t like the idea of shooting them either. I went along partly out of curiosity, partly for the chance to do some bird-watching while he was watching for prey. I suspect that even this rationale would anger vegetarians and vegans, and I will not argue. But the interesting aspect for me was a system which many would see as a restriction of freedom, typical for such a Communist-run state. Weapons and ammunition were strictly controlled. Rifles, though privately-owned, were locked up at the hunting clubs, usually connected with the forest rangers’ home and station. To get licenses as club members, hunters had to attend classes and pass exams on identifying wild life, avoiding unnecessary cruelty or neglect, shooting ability—and a few old traditional rites for hunters, once restricted to nobility or men of wealth. The rifles could be picked up and returned on an agreed-upon calendar, which governed which animals in which seasons were OK for hunting and which were not: ill animals, yes, for example, but no does with fawns or wild sows with offspring. 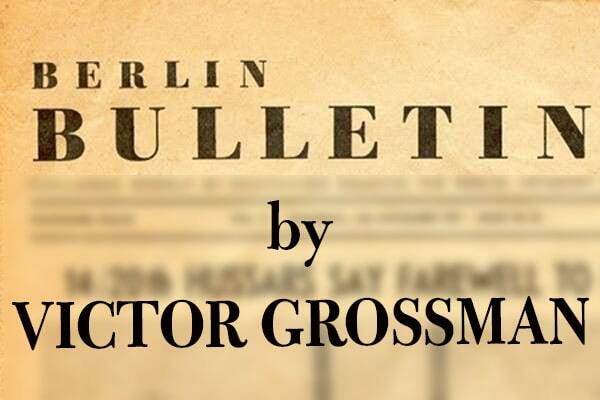 The rules were strict; every bullet had to be accounted for, whether a hit or a miss! The strict weapons’ laws for Werner’s hunting, undoubtedly a restriction of his freedoms (of course a Second Amendment was lacking) also meant that there were virtually no shooting deaths and never a single mass shooting, in schools or anywhere else—not even, as it turned out, in the course of regime change, which occurred in 1989-1990 without any bloodshed.